The SUV and light truck tire built for everyday adventures. 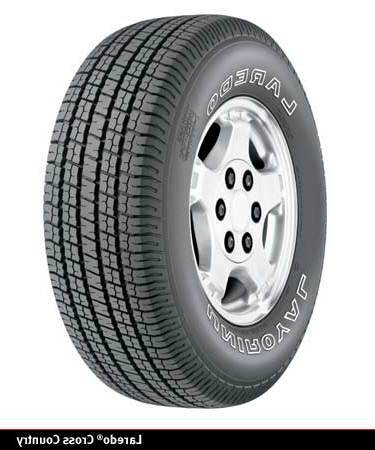 The Laredo Cross Country tire is the perfect tire for families who don't venture too far from the paved road. It gives you large, stable tread blocks for improved dry handling, all-weather traction you can trust and top quality engineering that doesn't cost an arm and a leg. Sure the Laredo Cross Country can take on the occasional off-road challenge. But it excels in everyday adventures.